MomsRising.org | Tell Congress: Support the Healthy Families Act! Tell Congress: Support the Healthy Families Act! Paid sick days are a win-win-win for the our families, economy, and health! Let's make sure the Healthy Families Act blasts off with strong support. Add your name to the letter urging your members of Congress to sign on as co-sponsors of the Healthy Families Act so no mom has to choose between a paycheck and taking care of her sick child. I am writing to urge you to protect the economic security and health of our families and our nation by acting quickly to co-sponsor and pass the Healthy Families Act. The truth is that we ALL get sick, but not everyone in the United States has access to the time off they need to get better. In fact, right now 43 million Americans — more than four in ten private-sector workers and 80% of low-wage workers — can't earn a single paid sick day for when they or a family member are sick. This means they have to make an impossible choice between going to work sick (and risk infecting coworkers and customers) or staying home and losing an invaluable day’s pay, or sometimes even losing their job. It's not rocket science: That's bad for families, and it’s bad for our nation's economy! 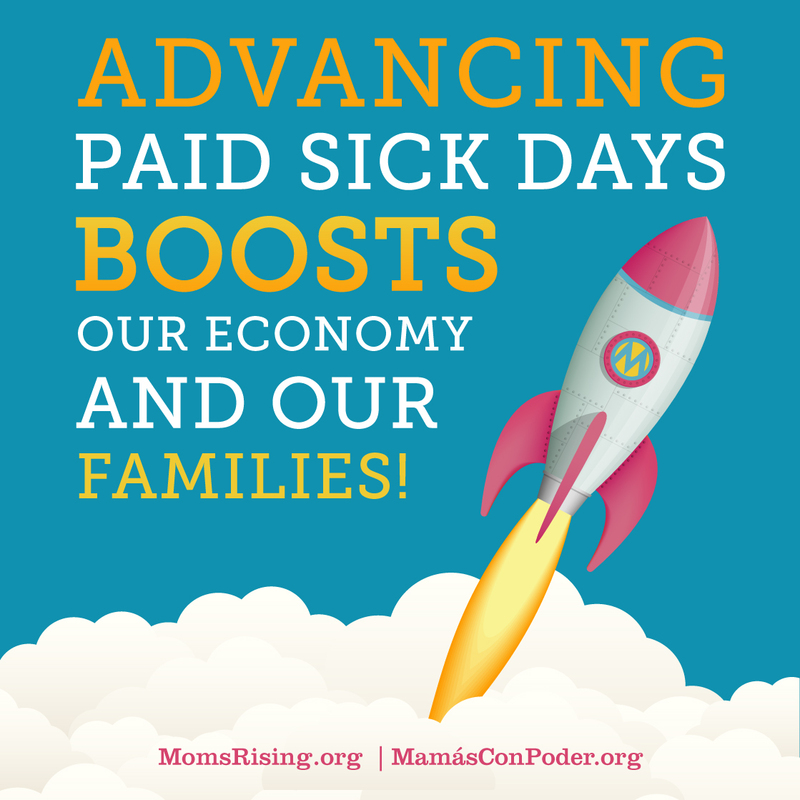 Paid sick days boost our families, economy, and businesses — a win-win-win! Please do everything in your power to support, co-sponsor, and pass the Healthy Families Act!